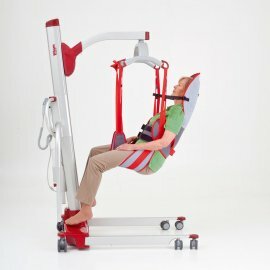 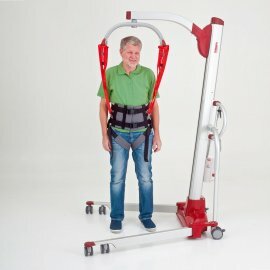 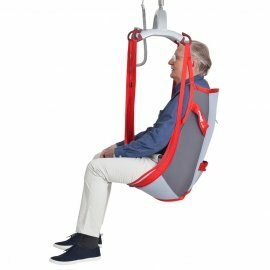 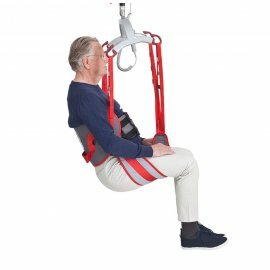 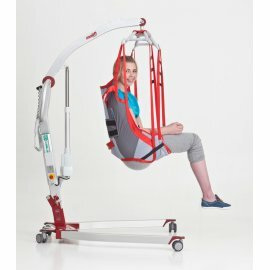 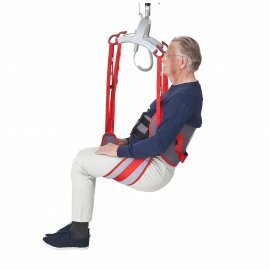 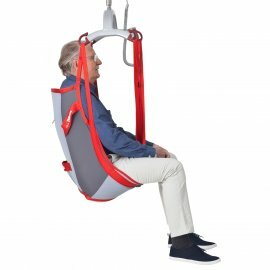 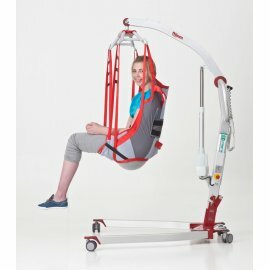 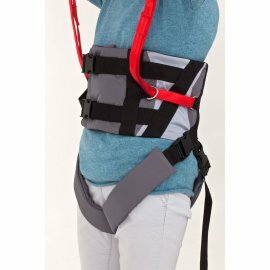 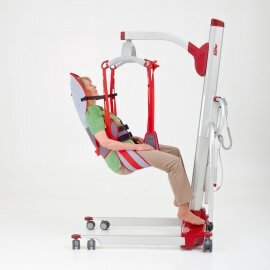 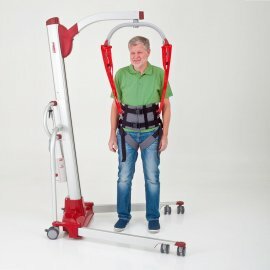 Complete range of Molift Slings for all hoists and stand aids manufactured by Molift. 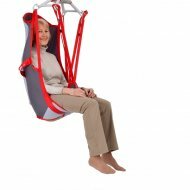 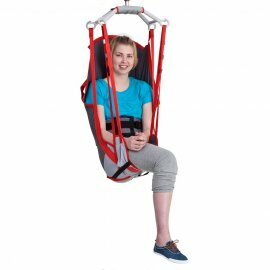 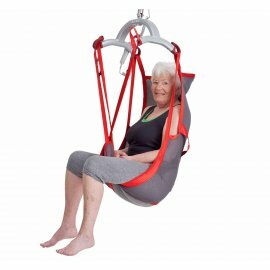 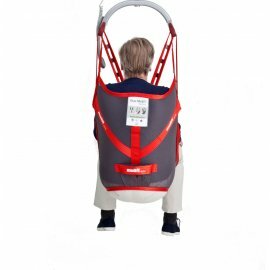 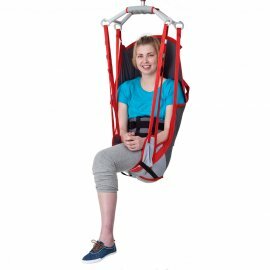 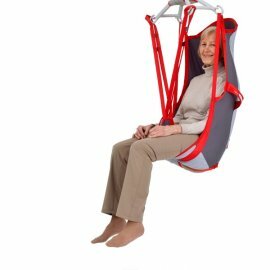 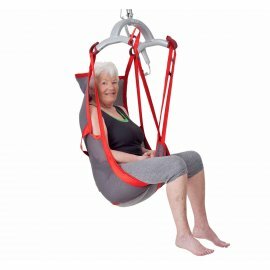 Molift RgoSlings are ergonomically designed for maximum comfort and excellent flexibility. 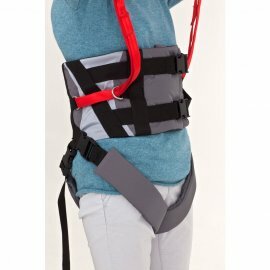 Raiser straps for the Etac Molift Raiser can also be found here. 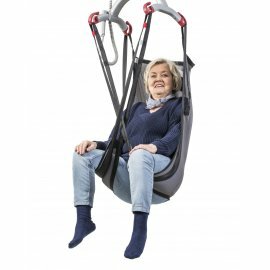 Molift EvoSling Shadow HighBack XXSThe flexible Molift EvoSling Shadow HighBack adapts to ..
Molift EvoSling Shadow HighBack XSThe flexible Molift EvoSling Shadow HighBack adapts to t..
Molift EvoSling Shadow HighBack SThe flexible Molift EvoSling Shadow HighBack adapts to th..
Molift EvoSling Shadow HighBack M The flexible Molift EvoSling Shadow HighBack adapts..
Molift EvoSling Shadow HighBack L The flexible Molift EvoSling Shadow HighBack adapts..
Molift EvoSling Shadow HighBack XL The flexible Molift EvoSling Shadow HighBack adapt..
Molift RgoSling HighBack Padded XS The Molift RgoSling HighBack Padded XS is an ..
Molift RgoSling HighBack Padded SThe Molift RgoSling HighBack Padded S is an all ro..
Molift RgoSling HighBack Padded M The Molift RgoSling HighBack Padded M is an al..
Molift RgoSling HighBack Padded L The Molift RgoSling HighBack Padded L is an al..
Molift RgoSling HighBack Padded XLThe Molift RgoSling HighBack Padded XL is an all ro..
Molift RgoSling HighBack Padded XXLThe Molift RgoSling HighBack Padded XXL is an all ..
Molift RgoSling MediumBack Net XXSThe Molift RgoSling MediumBack Net XXS is an all ro..
Molift RgoSling MediumBack Net XSThe Molift RgoSling MediumBack Net XS is an all roun..
Molift RgoSling MediumBack Net SThe Molift RgoSling MediumBack Net S is an all round ..
Molift RgoSling MediumBack Net MThe Molift RgoSling MediumBack Net M is an all round ..
Molift RgoSling MediumBack Net LThe Molift RgoSling MediumBack Net L is an all round ..
Molift RgoSling MediumBack Net XLThe Molift RgoSling MediumBack Net XL is an all roun..
Molift RgoSling MediumBack Net XXLThe Molift RgoSling MediumBack Net XXL is an all ro..
Molift RgoSling HighBack Net XXSThe Molift RgoSling HighBack Net XXS is an all round ..
Molift RgoSling HighBack Net XSThe Molift RgoSling HighBack Net XS is an all round sl..
Molift RgoSling HighBack Net SThe Molift RgoSling HighBack Net S is an all round slin..
Molift RgoSling HighBack Net M The Molift RgoSling HighBack Net M is an all roun..
Molift RgoSling HighBack Net LThe Molift RgoSling HighBack Net L is an all round slin..
Molift RgoSling HighBack Net XLThe Molift RgoSling HighBack Net XL is an all round sl..
Molift RgoSling HighBack Net XXLThe Molift RgoSling HighBack Net XXL is an all round ..
Molift RgoSling Comfort HighBack Net SThe Molift RgoSling Comfort HighBack Net S is a slin..
Molift RgoSling Comfort HighBack Net M The Molift RgoSling Comfort HighBack Net ..
Molift RgoSling Comfort HighBack Net L The Molift RgoSling Comfort HighBack Net ..
Molift RgoSling Toilet LowBack Padded XXSThe Molift RgoSling Toilet LowBack Padded XXS is ..
Molift RgoSling Toilet LowBack Padded XSThe Molift RgoSling Toilet LowBack Padded XS is a ..
Molift RgoSling Toilet LowBack Padded SThe Molift RgoSling Toilet LowBack Padded S is a sp..
Molift RgoSling Toilet LowBack Padded M The Molift RgoSling Toilet LowBack Padded M i..
Molift RgoSling Toilet LowBack Padded L The Molift RgoSling Toilet LowBack Padded L i..
Molift RgoSling Toilet LowBack Padded XLThe Molift RgoSling Toilet LowBack Padded XL is a ..
Molift RgoSling Toilet LowBack Padded XXLThe Molift RgoSling Toilet LowBack Padded XXL is ..
Molift RgoSling Toilet HighBack Padded XXSThe Molift RgoSling Toilet HighBack Padded XXS i..
Molift RgoSling Toilet HighBack Padded XSThe Molift RgoSling Toilet HighBack Padded XS is ..
Molift RgoSling Toilet HighBack Padded SThe Molift RgoSling Toilet HighBack Padded S is a ..
Molift RgoSling Toilet HighBack Padded M The Molift RgoSling Toilet HighBack Padded M..
Molift RgoSling Toilet HighBack Padded L The Molift RgoSling Toilet HighBack Padded L..
Molift RgoSling Toilet HighBack Padded XL The Molift RgoSling Toilet HighBack Padded ..
Molift RgoSling Toilet HighBack Padded XXL The Molift RgoSling Toilet HighBack Padded..
Molift RgoSling MediumBack Padded XSThe Molift RgoSling MediumBack Padded XS is an al..
Molift RgoSling MediumBack Padded S The Molift RgoSling MediumBack Padded S is a..
Molift RgoSling MediumBack Padded MThe Molift RgoSling MediumBack Padded M is an all ..
Molift RgoSling MediumBack Padded L The Molift RgoSling MediumBack Padded L is a..
Molift RgoSling MediumBack Padded XLThe Molift RgoSling MediumBack Padded XL is an al..
Molift RgoSling MediumBack Padded XXLThe Molift RgoSling MediumBack Padded XXL is an ..
Molift RgoSling Amputee MediumBack XXSThe Molift RgoSling Amputee MediumBack XXS is design..
Molift RgoSling Amputee MediumBack XSThe Molift RgoSling Amputee MediumBack XS is designed..
Molift RgoSling Amputee MediumBack SThe Molift RgoSling Amputee MediumBack S is designed t..
Molift RgoSling Amputee MediumBack M The Molift RgoSling Amputee MediumBack M is desi..
Molift RgoSling Amputee MediumBack L The Molift RgoSling Amputee MediumBack L is desi..
Molift RgoSling Amputee MediumBack XL The Molift RgoSling Amputee MediumBack XL is de..
Molift RgoSling Amputee MediumBack XXLThe Molift RgoSling Amputee MediumBack XXL is design..
Molift RgoSling Amputee HighBack Padded XXSThe Molift RgoSling Amputee HighBack Padded XXS..
Molift RgoSling Amputee HighBack Padded XSThe Molift RgoSling Amputee HighBack Padded XS i..
Molift RgoSling Amputee HighBack Padded S The Molift RgoSling Amputee HighBack Padded..
Molift RgoSling Amputee HighBack Padded M The Molift RgoSling Amputee HighBack Padded..
Molift RgoSling Amputee HighBack Padded L The Molift RgoSling Amputee HighBack Padded..
Molift RgoSling Amputee HighBack Padded XLThe Molift RgoSling Amputee HighBack Padded XL i..
Molift RgoSling Amputee HighBack Padded XXLThe Molift RgoSling Amputee HighBack Padded XXL..
Molift RgoSling Ambulating Vest XXSThe Molift RgoSling Ambulating Vest XXS is develop..
Molift RgoSling Ambulating Vest XSThe Molift RgoSling Ambulating Vest XS is developed..
Molift RgoSling Ambulating Vest SThe Molift RgoSling Ambulating Vest S is developed f..
Molift RgoSling Ambulating Vest M The Molift RgoSling Ambulating Vest M is devel..
Molift RgoSling Ambulating Vest L The Molift RgoSling Ambulating Vest L is devel..
Molift RgoSling Ambulating Vest XL The Molift RgoSling Ambulating Vest XL is dev..
Molift RgoSling Ambulating Legstraps XXS-XSThe Molift RgoSling Ambulating Legstraps XXS-XS..
Molift RgoSling Ambulating Legstraps S-M The Molift RgoSling Ambulating Legstraps S-M..
Molift RgoSling Ambulating Legstraps L-XLThe Molift RgoSling Ambulating Legstraps L-XL are..